Frustrated with federal and legislative attacks on medical marijuana providers, some Montana activists want to just go for it and legalize marijuana for all, or at least all adults. They're gathering signatures now to do just that. The "Show-Me Cannabis Regulation" campaign to put a marijuana legalization initiative on the November ballot in the Show-Me State is in the signature-gathering stage. 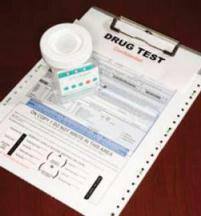 Indiana legislators found themselves voting to drug test themselves in a bid to get a welfare drug testing bill passed. It worked, and now the bill heads for the state Senate. First, Florida's Republican legislature approved drug testing of poor people. Now it wants to do the same to state workers, and remove some of their collective bargaining rights along the way. Hopes that things are quieting down in Ciudad Juarez are fading after a bloody week there. And that's just one front in Mexico's drug wars. From action in state legislatures to raids at dispensaries, there's no let-up in the medical marijuana action around the nation. Here's the latest. The California Regulate Marijuana Like Wine initiative got 62% support in a new poll, which could make it more attractive to major donors. But the clock is ticking on it and all the other marijuana legalization initiatives in the state. Voters in Washington state will have the chance to legalize marijuana this November, after Initiative 502 was certified for the ballot Friday. It looks like an uphill battle for marijuana legalization in Michigan this year if a new poll is an accurate reflection of voter sentiments. A new CDC report has some surprising findings about the links between gang killings and drugs. More dope-dealin' and/or sticky-fingered cops this week, plus a tweaker judge gets sentenced. A Detroit-area man who tried to drive away from a drug arrest was shot and killed by a deputy hanging onto his car door. He becomes the sixth person to be killed in US domestic drug law enforcement operations so far this year.